Pure. Simple. Organic. Delight. 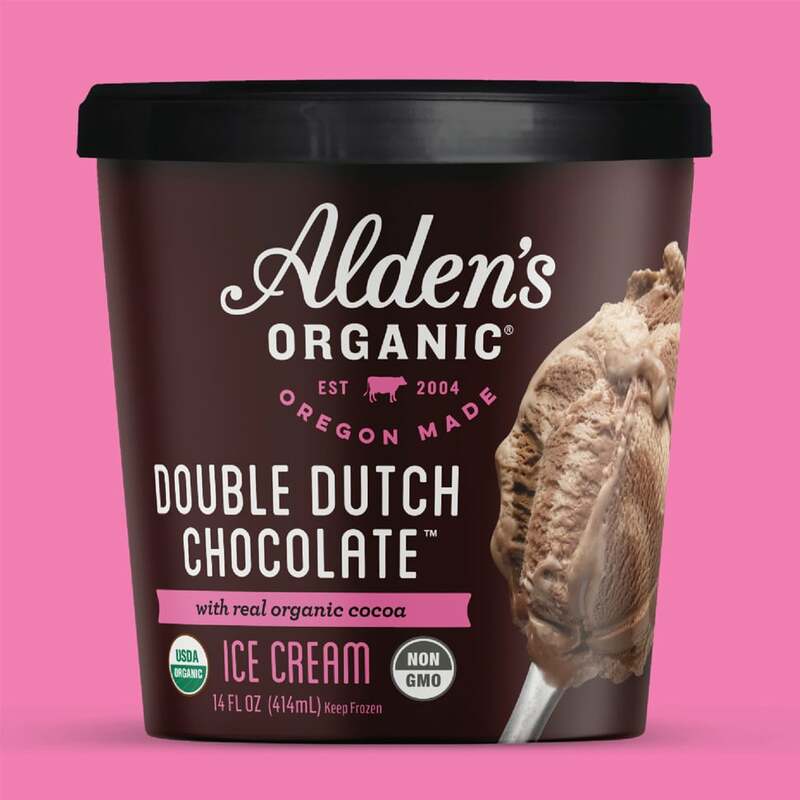 Julie’s Organic is America’s original organic ice cream company. Since 1998, we’ve been sourcing the finest ingredients from nature and balancing them for an indulgent taste and creamy texture. Our super premium ice creams, sorbets and frozen yogurts are delicious treats you will feel good about eating. Julie’s Organic is pure delight. We know we wouldn’t be where we are today without our amazing fans. We genuinely appreciate your feedback, and there’s nothing we enjoy more than hearing from you! In an effort to keep our community respectful and welcoming for all of our fans, we’ve created a few guardrails for the community... 1. Be kind: please treat others the way you’d like to be treated. Do not post inappropriate, disrespectful, harassing, or otherwise abusive comments. 2. Keep it Relevant: please do not post any spam, advertising/promotional or otherwise affiliated posts; do not post repetitive or inflammatory statements. Any inappropriate images or redundant posts will be removed immediately. 3. 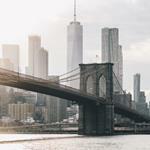 Use Original Content: we love to see your original content! Please only share photos, videos, links and text that you own or have rights to. Please refrain from posting anything that you don’t have permission to use. 4. 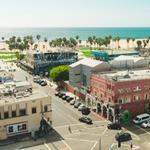 Identify Yourself: we believe in transparency and honest communications, so if you're an employee or partner of Julie's Organic, please take the opportunity to introduce yourself. While we know we have the world's best fans and don't expect for these kinds of things to occur, we do reserve the right to remove any posts or community members that are in violation of these guidelines. Thank you for being part of the Julie's Community! 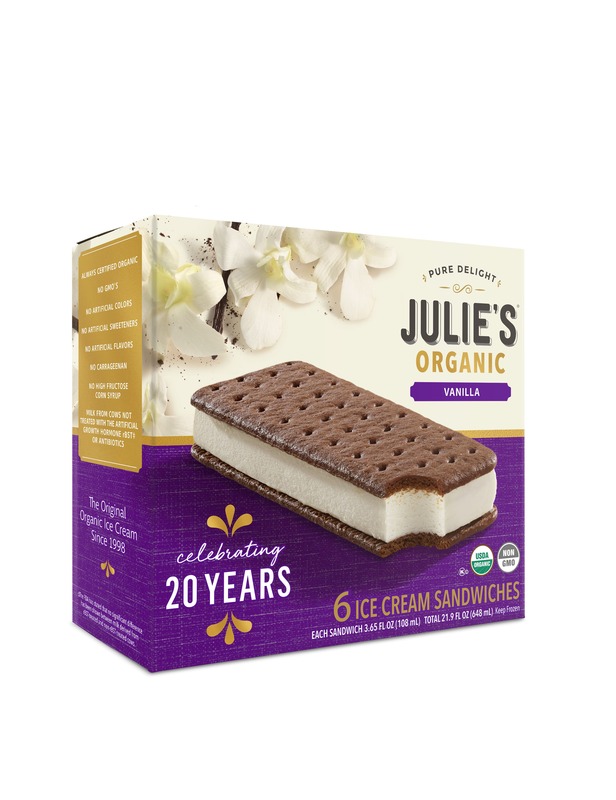 Julie’s Organic, the ice cream company that changed consumer expectations for quality frozen desserts, is turning twenty and celebrating the popularity of its flagship product with a limited-edition box design and consumer giveaways.